Here we have a new flavour of Walkers crisps and a new sharing bag design! Firstly let me explain to you Spectre’s methodology for crisp opening. 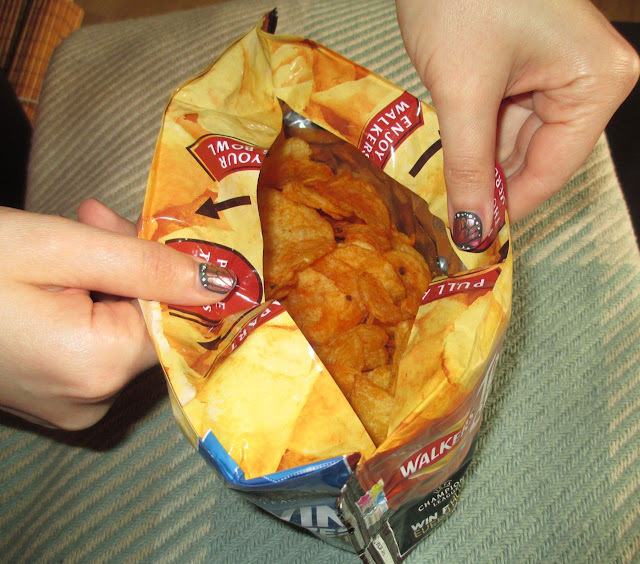 He opens the bag like anyone else does, but then he tears down the side of the bag neatly leaving the crisps on what essentially becomes a crisp plate. Its fiddly to do but he is the master of it. 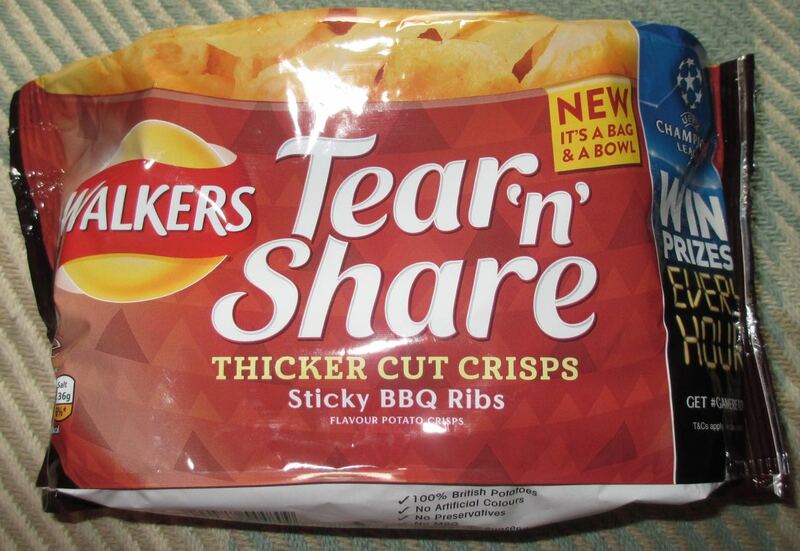 Walker has made his life a whole lot easier by packaging their sharing crisps in a new sharing bag. You simply put two thumbs on the markers at the top and pull it apart to create a bowl to share from. The bag came apart nice and easily when I pulled and it did the job perfectly. I thought it’s a really innovative way to pack sharing crisps and it worked well. The crisps themselves were really good too. They are thicker cut than regular Walkers, but not too much so. The crunch was good but the crisps certainly weren't overly hard.